Thomas Carlyle "Tom" Ford, an American fashion designer and film director, rose to fame with the creation of Tom Ford label and for giving a new lease of life to Gucci. He directed the Oscar-nominated film, A Single Man. He stole the show as the ‘Red Carpet’ winner at the recently held British Fashion Awards 2015 at the London Coliseum. 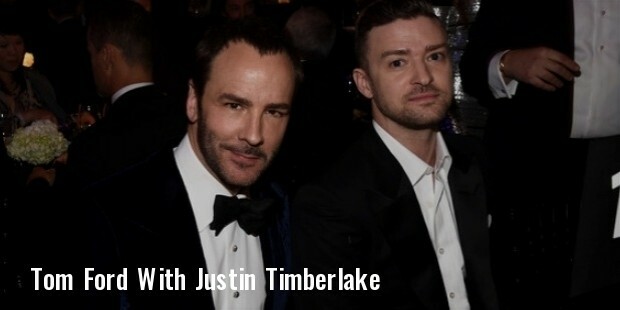 Tom Ford is soon to launch his first-ever men's show at London Collections Men in January of 2016. Tom Ford was born in Austin, Texas on August 27, 1961 to realtors Shirley Burton and Thomas David Ford. For the initial years, Ford lived in the suburbs of Houston, Texas, and San Marcos, outside Austin. When Ford was 11 years old, his family shifted to Santa Fe, New Mexico. He studied at St. Michael's High School and then at the Santa Fe Preparatory School. Ford sought admission at the Bard College, Simon's Rock, but left and enrolled in the New York University to study Art History. He did not complete the course and moved to modelling for television commercials. Ford has starred in 12 national advertising commercials at the same time. Ford has a degree in Interior Architecture from Parsons, The New School for Design. He worked as an intern at the Chloé press office in Paris while still at The New School. He realised that he had a flair and love for clothes. 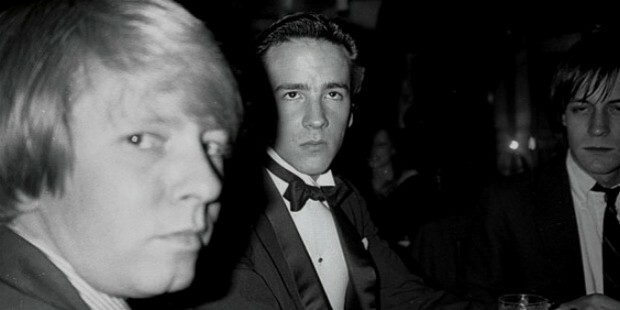 Tom Ford worked for American designer Catty Hardwick as a design assistant for a period of two years. He worked for Perry Ellis from 1988 onwards for a period of two years. Ford got his major break when he was hired by Gucci, a known European fashion brand, as the Chief Designer for women’s ‘ready-to-wear’ brand. He re-located to Milan, Italy. Success was sweet on him as within six months at Gucci, he was handling the men’s wear and shoes. Within a short span of two years, Ford became Gucci’s Design Director. He was promoted to Creative Director in 1994. Ford spearheaded the operations at Gucci, introducing new fashion trends and creating a series of completely new advertising campaigns for the brand. The business at Gucci prospered with Ford at its fulcrum and the brand went public. Ford was made the Creative Director of Yves Saint Laurent (YSL), when Gucci took over the label in 1999. He spun the same magic at YSL, infusing a new lease of life into the ‘classic’ fashion house. Ford won several Council of Fashion Designers of America Awards. His evening dress for YSL Rive Gauche was chosen as the ‘Dress of the Year’ for 2004. Ford left the Gucci group after a long association of 15 years. 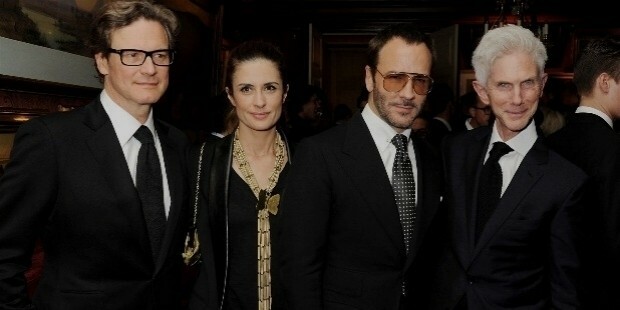 Tom Ford initiated his own fashion label comprising beauty products, eye-wear, accessories and men’s wear. He had hit big times. He was carried on the cover of Another Man, a bi-annual publication. He found a mention in GQ’s list of “50 Best Dressed Men”. Ford was awarded the CFDA Fashion Award for Menswear Designer of the Year. Ford branched in to film production and launched his own production house, ‘Fade to Black’ in 2005. He made his debut as a director with the movie, “A Single Man”, based on Christopher Isherwood’s novel by the same name. The film was nominated at the 66th Venice International Film Festival for the Golden Lion award. He was listed for Best Adapted Screenplay at the Broadcast Film Critics Association Awards. Currently Ford is directing “Nocturnal Animals”. Ford stole the show as the ‘Red Carpet’ winner at the recently held British Fashion Awards2015 at the London Coliseum. 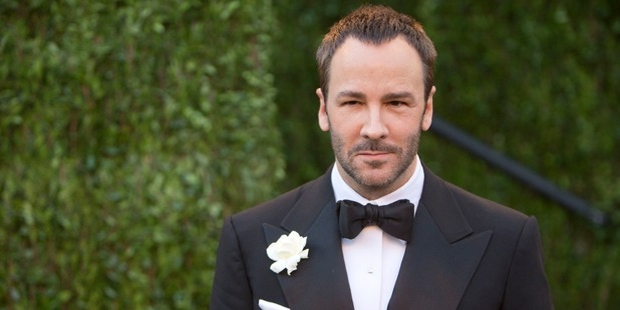 Tom Ford is soon to launch his first-ever men's show at London Collections Men in January of 2016. 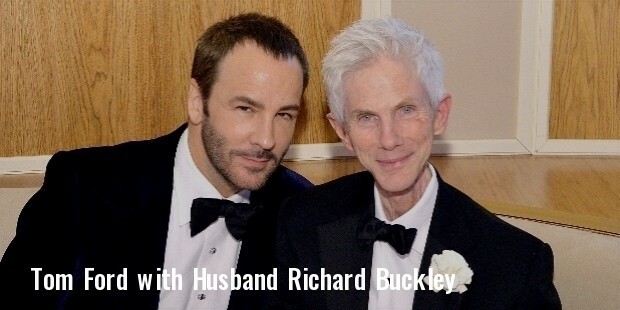 Tom Ford is married to Richard Buckley, a journalist and former editor in chief of Vogue Hommes International. 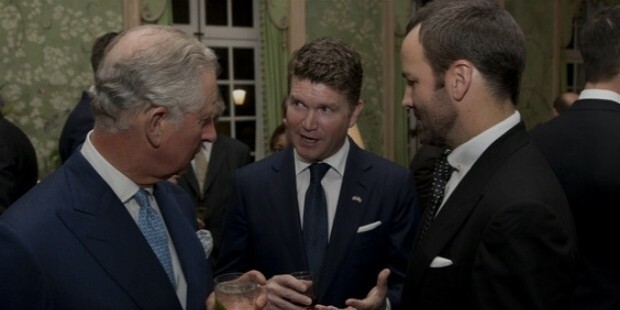 The couple is blessed with a son, Alexander John Buckley Ford. Ford was the ‘Red Carpet’ winner at the British Fashion Award, 2015s at the London Coliseum. He won several Council of Fashion Designers of America Awards as the Creative director of Yves Saint Laurent. His evening dress for YSL Rive Gauche won the title of the ‘Dress of the Year’ for 2004. Ford’s film “A Single Man”, based on Christopher Isherwood’s novel by the same name was nominated at the 66th Venice International Film Festival for the Golden Lion award. He was listed for Best Adapted Screenplay at the Broadcast Film Critics Association Awards.